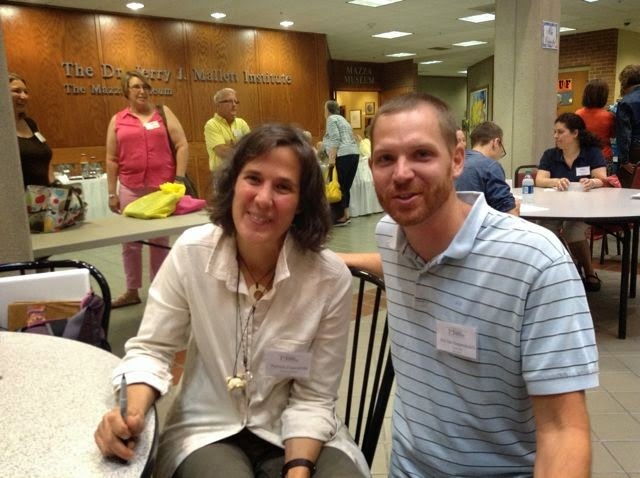 This year, I asked Margery Cuyler, author of Skeleton Hiccups, "How does the Mazza Museum conference compare to the other conferences you have attended?" She responded by saying that all the conferences are great, but the Mazza Museum summer conference is "unique" because it is focused completely on picture books. My goal in writing this blog post is to show what you would expect to experience if you were to attend a Mazza Museum summer conference. 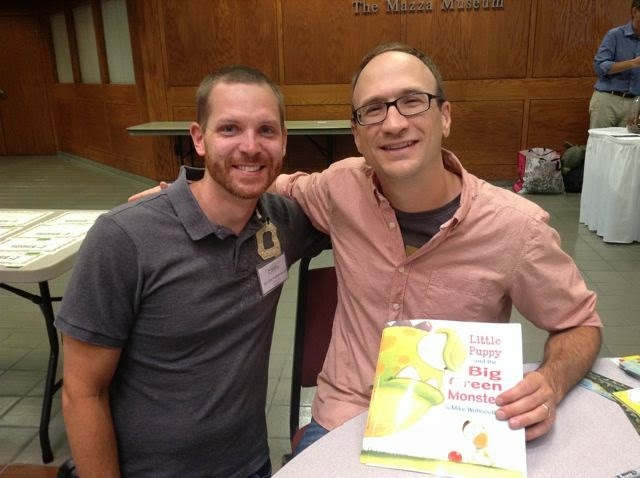 If you love picture books, I hope my blog post is enough to convince you to attend next year. I want to see you there! I took this photo on a beautiful morning around 6:30am. This year, I enjoyed walking around the campus of the University of Findlay before everyone arrived for the day. 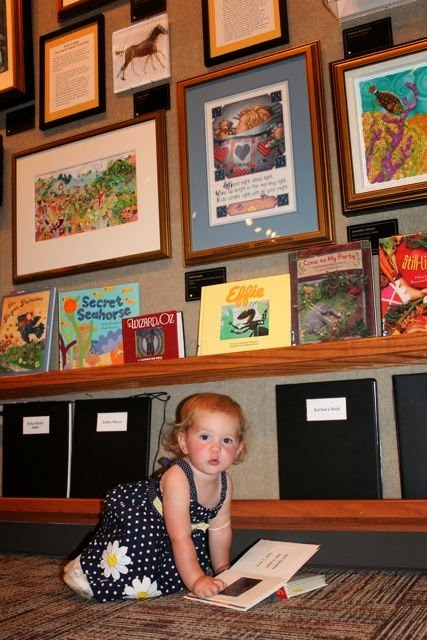 After your light breakfast, you can walk right into the museum to view the largest collection of original artwork from picture books in the world! This year, I walked into the museum and a painting by Don Wood from The Napping House caught my eye. It was gorgeous! I wish I would have taken a picture to show you! 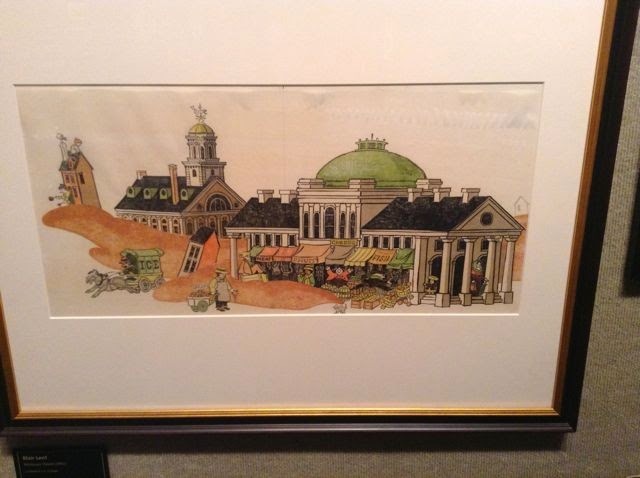 This year I found artwork I hadn't seen before from Blair Lent's Molasses Flood. Do you remember when we celebrated his birthday on January 22? The colors of this painting from Grace Lin were so bright! Do you remember when we celebrated Grace Lin's birthday on May 17? 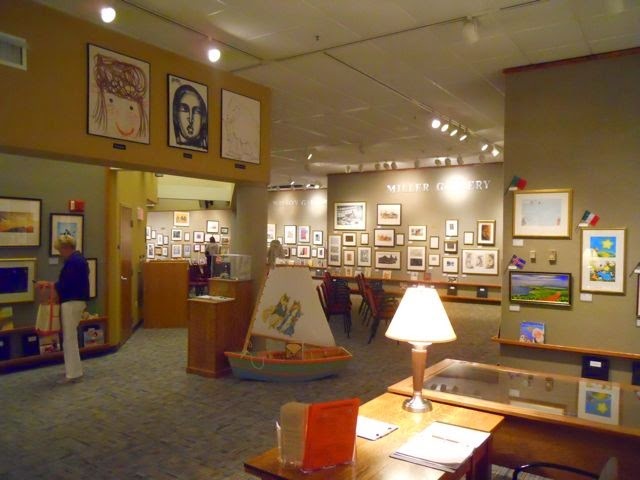 Galleries are often arranged in themes that change throughout the year. 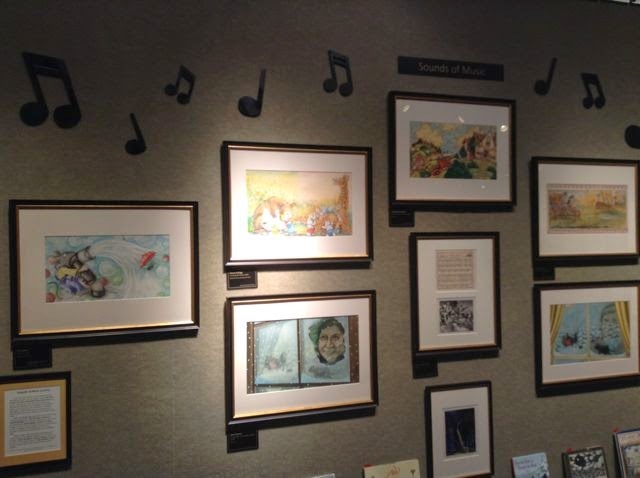 I wasn't surprised to see artwork by Iza Trapani included in the "Sounds of Music"-themed gallery celebrating the music of picture books. Do you remember when we celebrated Iza Trapani's birthday on January 12? You could probably spend hours in the museum, but before you know it is time for the morning keynote presentation. 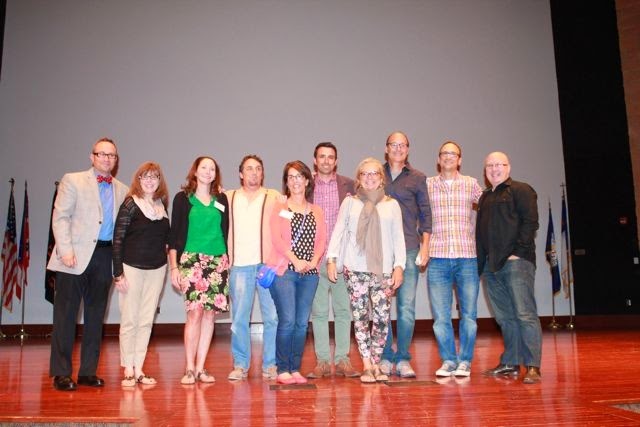 This year Bob Staake, Laura Vaccaro Seeger, Margery Cuyler, Lynne Avril, Loren Long, Jarrett Krosoczka, David Shannon, Pamela Zagarenski, Aaron Reynolds, David Slonim, and Mike Wohnoutka were the featured presenters. Every year the lineup is this amazing! 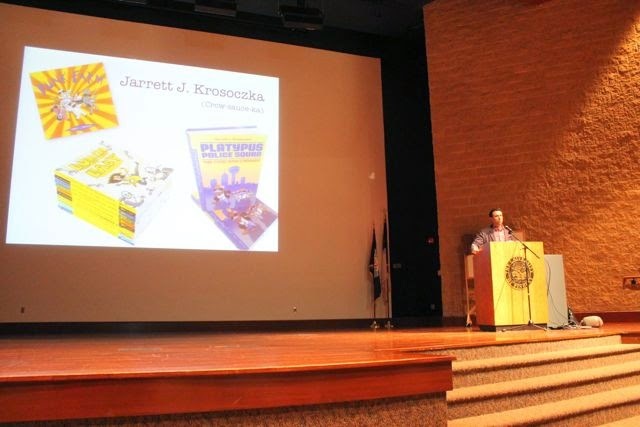 Jarrett Krosoczka begins his presentation. 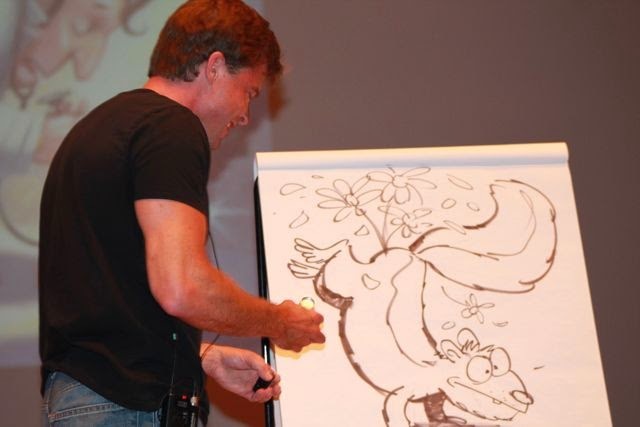 It is always a treat when an artist creates art for the audience. In this photo, Lynne Avril draws Amelia Bedelia. She took suggestions on what colors to use for Amelia's outfit. There is time for the audience to ask questions after each keynote presentation. 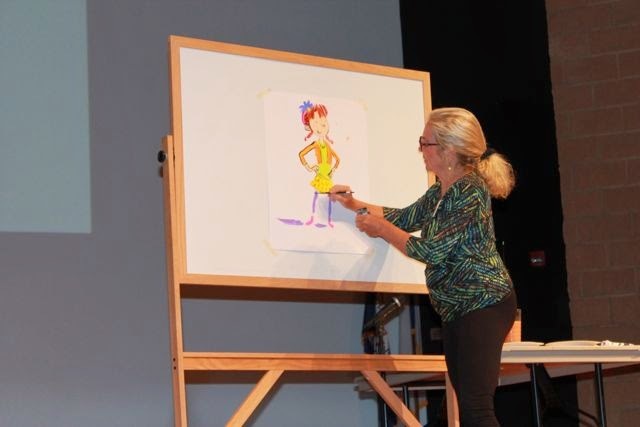 Lynne talked about her sketchbook after Bob Staake asked her to share some of the drawings. David Slonim drew for the audience too. He asked the audience for a character, a problem, and an emotion. This is an embarrassed skunk that lost his stink! He said that this was probably the strangest thing he had ever drawn while doing this demonstration. After the morning keynote there are pullout presentations presented by conference attendees. (If you have a idea for a presentation you can submit an idea and earn free admission to the conference and graduate credit!!) I must say that the quality and the amount of workshops has really risen since I began attending in 2011. It is so difficult to pick which session to attend. Lunch is available on campus at the cafeteria. There is one of those really cool Coca-Cola Freestyle machines that has a touchscreen to choose many unique flavors! After lunch each day is autographing. There are at least two artists signing books, but often there are more! I love seeing teachers and librarians bring in books to have signed for their classrooms, so their students can read from an autographed book! 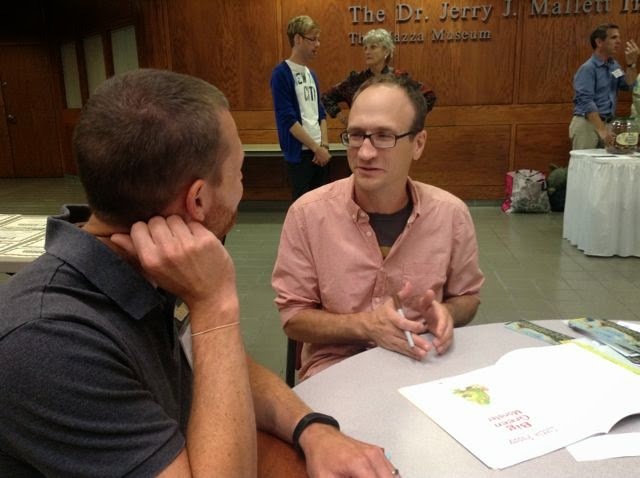 This year, I got to meet and talk with many of my favorite picture book creators! I loaded up on gifts for the year to give to all my nieces, nephews, and friends. I think autographed books make the best gifts! 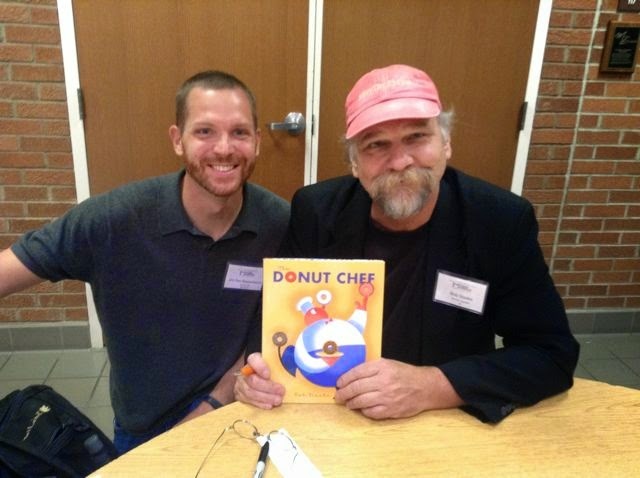 Bob Staake, author and illustrator of The Donut Chef and My Pet Book. 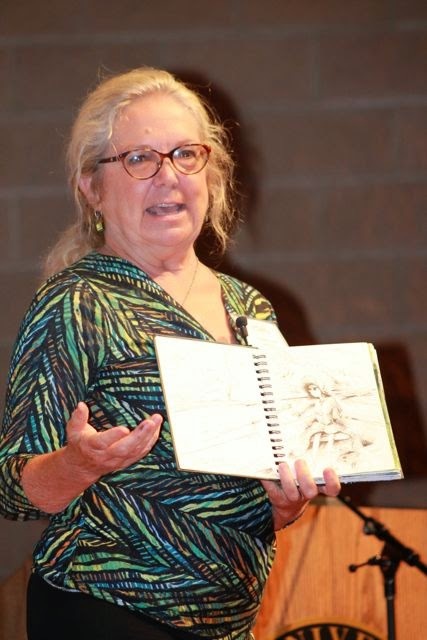 Laura Vaccaro Seeger, author and illustrator of Green, One Boy and What if?. 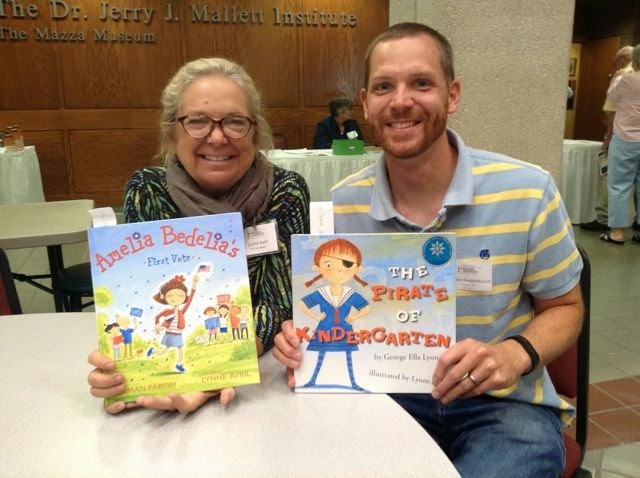 Lynne Avril, illustrator of Amelia Bedelia's First Vote and The Pirate of Kindergarten. Margery Cuyler, author of That's Good, That's Bad and Skeleton Hiccups. 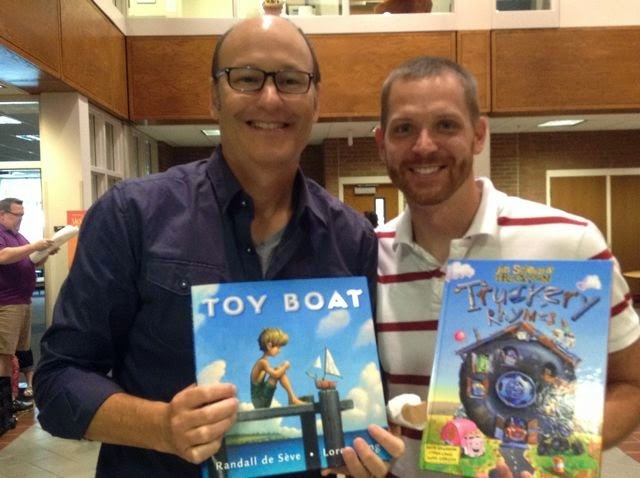 Loren Long, author and illustrator of Otis, Toy Boat and contributor to Jon Scieszka's Trucktown Truckery Rhymes. 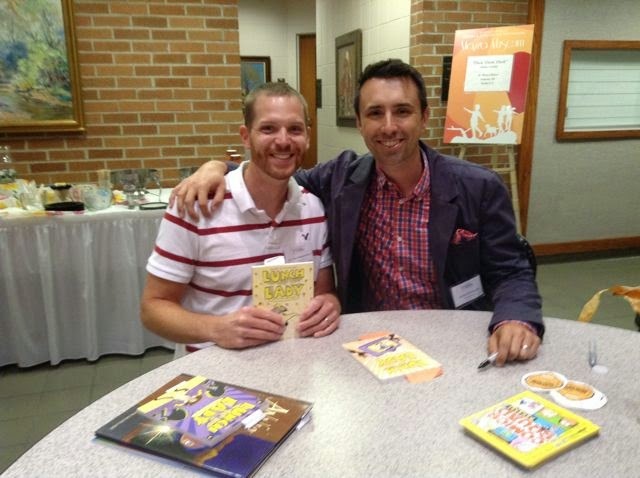 Jarrett Krosoczka, author and illustrator of Lunch Lady, Punk Farm, and Annie Was Warned. 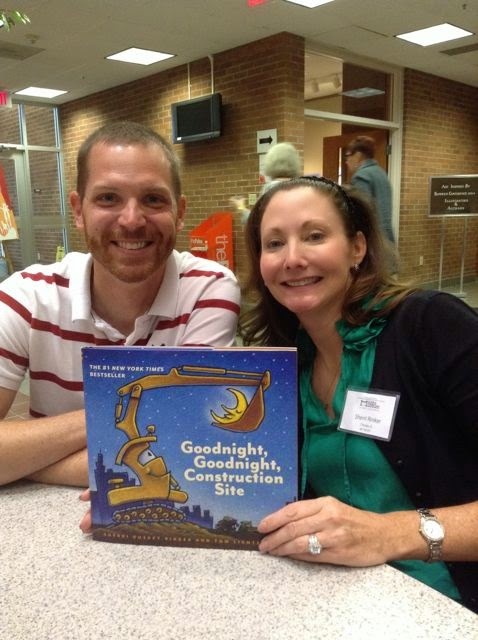 Sherri Dusky Rinker, author of Goodnight, Goodnight Construction Site and Steam Train Dream Train. Sherri spent the week at the conference because she had so much fun last year as a presenter! 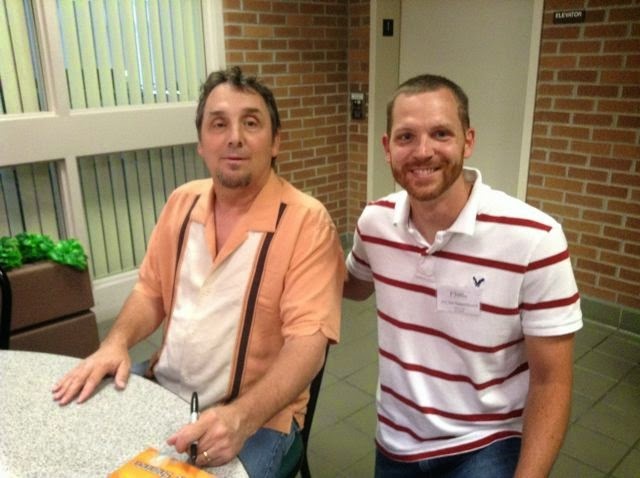 David Shannon, author and illustrator of No, David! and Duck on a Bike. Aaron Reynolds, author of Creepy Carrots and Here Comes Destructosaurus. Pamela Zagarenski, illustrator of Sleeps Like a Tiger. David Slonim, author and illustrator of Patch and He Came with the Couch. 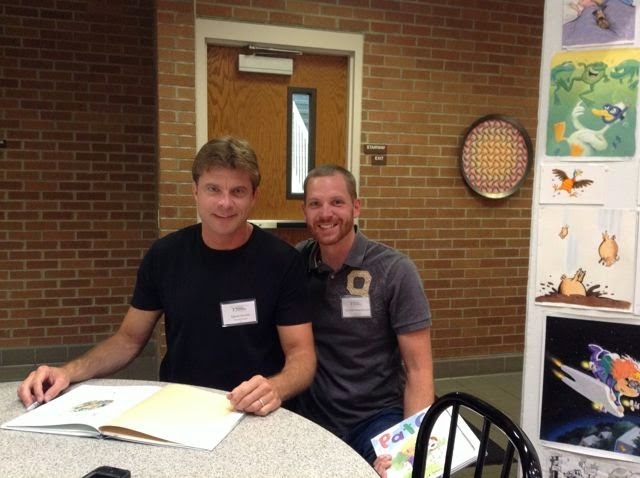 Mike Wohnoutka, author and illustrator of Little Puppy and the Big Green Monster and Moo!. After the book signings it is time to get ready for another artist keynote presentation and a breakout/pullout session. If you are an inspiring children's book writer or illustrator you should consider signing up for the children's writing strand. This option requires that you attend the conference for the whole week. 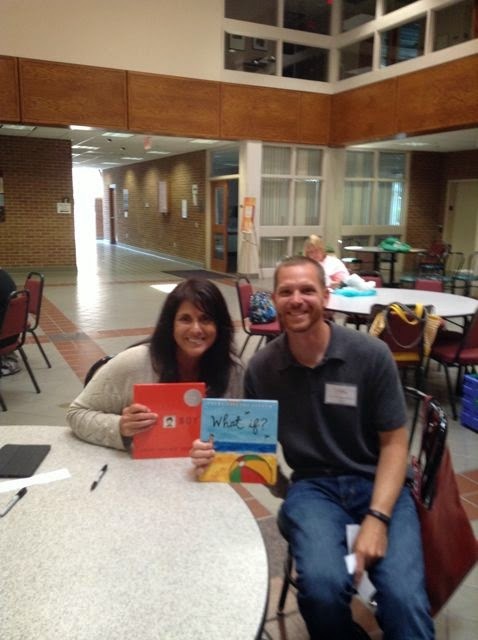 Instead of attending breakout sessions, you meet with other aspiring children's writers to work on your picture book manuscripts. A published author (this year it was Michell Houts) and university professor, Dr. Melissa Cain provide assistance and writing exercises to improve your manuscripts. 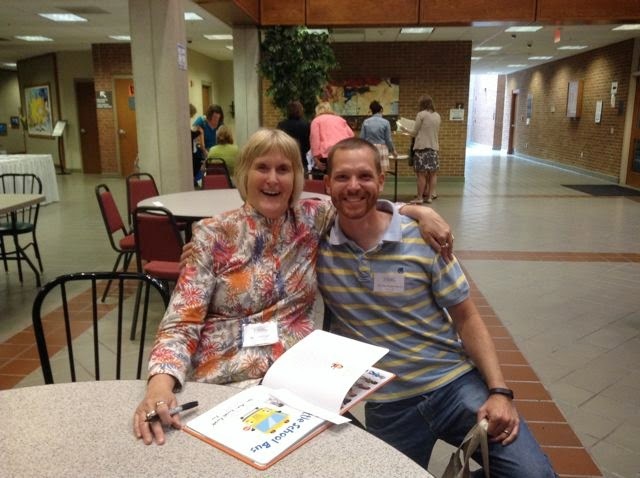 I have participated in the children's writing strand three times and have found it to be very helpful and inspiring. Can you tell that the Mazza Museum conference is full of energy, positivity, and fun? I guarantee at some point you will laugh until your sides hurt. And... if you are like me you might even shed some tears at some point during the week. I am usually a hot mess on Friday after such a great week! By the end of the week you will feel inspired to return to your library, classroom, or home to create magic with picture books. I love the Mazza Museum Summer Conference because I get to meet, talk to, and learn from the best authors and illustrators in the business. 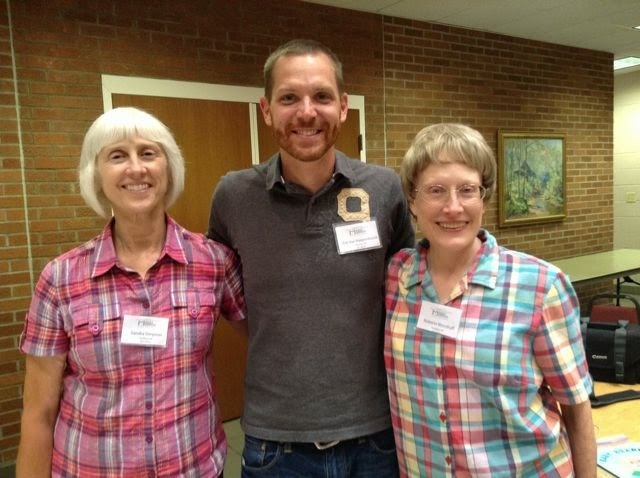 I love the Mazza Museum summer conference because I spend the whole week with friends that I have met over the years! So, did I convince you? 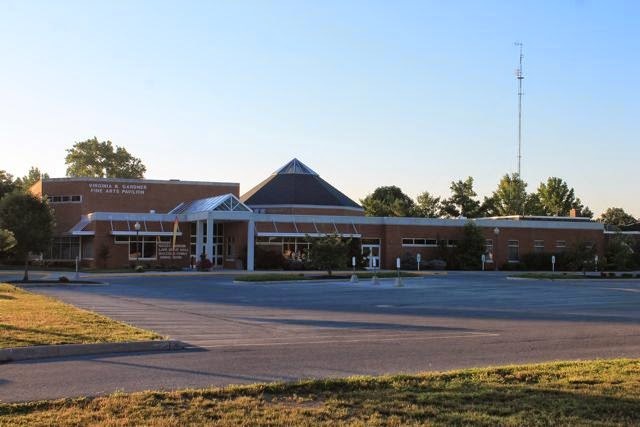 Will you come to Findlay, Ohio next July? Are you marking your calendar right now? Maybe you need one more reason to come? Here it is...Every evening during the week a dinner event is held at a local restaurant. Conference attendees are invited to attend these dinners with the authors and illustrators! (Space is limited.) This year, I attended these special dinners each night had an amazing time! I hope I have gotten you really excited about this conference. Maybe you are so excited that the thought of waiting until July seems impossible. Well, there is a weekend conference that features six artists! 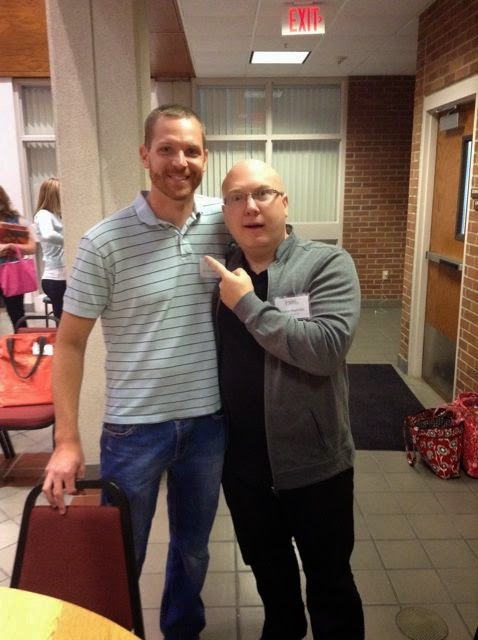 This year's fall weekend conference is November 7 and 8th. The artists scheduled to be in attendance are Bagram Ibatoulline, Ashley Bryan, Gianna Marino, Jen Corace, Divya Srinivasan, and Peter Sis! Look at all the talent in this photo! Pictured: (starting at left) Ben Sapp, director of the Mazza Museum, Michelle Houts (my writing instructor for the week), Sherri Dusky Rinker, David Shannon, Gail Piazza, Jarrett Krosoczka, Lynne Avril, Loren Long, Mike Wohnoutka, and Aaron Reynolds. I owe a huge THANK YOU to all of these people. You provided an amazing week for all the conference attendees. I can't forget those not pictured in the photo like the conference committee and the Mazza Enthusiasts volunteers! Thank you for a memorable and inspiring conference! I am so lucky to have such a unique event held every year so close to my home. But, that doesn't mean you can't come next year even if you live far away. There were attendees this year from Mexico and Kenya! I think I covered everything. Oh, I almost forgot one of the best things about the conference. 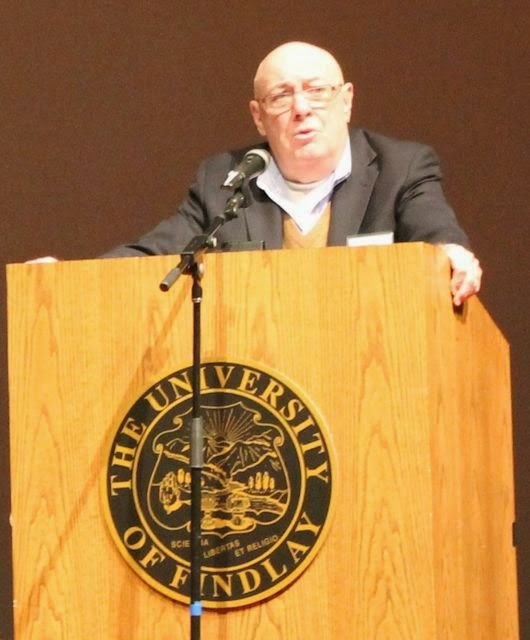 Dr. Jerry J. Mallett! 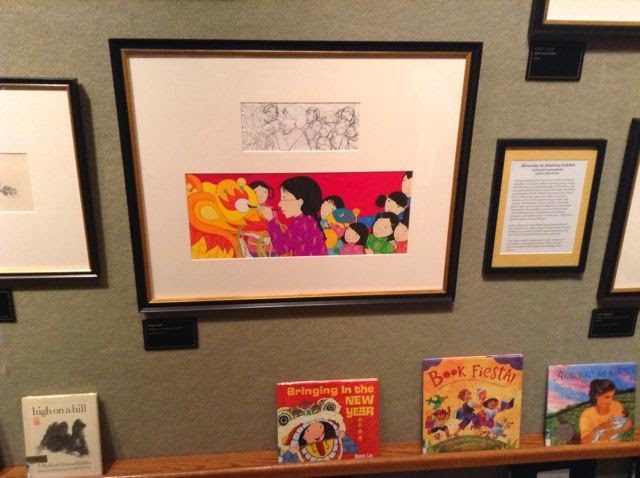 He started the collection of children's picture book artwork back in 1982 to help the University of Findlay celebrate its 100th anniversary. Now the museum has over 7,800 original pieces of art! He is a special person that I am so lucky to have gotten to know over the past four summers! I can't wait to see you again, Jerry! I hope to visit again this November!